Munich - Eintracht Frankfurt play host to Borussia Dortmund this Sunday seeking to maintain the steady improvement in form they have shown since starting into the 2013/14 Bundesliga campaign with a 6-1 battering at freshly promoted Hertha Berlin. Since then, the Eagles have lost out by a single goal at home to Bayern Munich and racked up wins in the UEFA Europa League final qualifying round against Qarabag Agdam, and at Eintracht Braunschweig on Matchday 3. Frankfurt could doubtless have wished for less demanding opposition in their first home matches than the two 2013 UEFA Champions League finalists. Thus it is, however, and Eintracht's spirited recovery in the wake of that Matchday 1 debacle in the capital would seem to bode well for the season ahead. 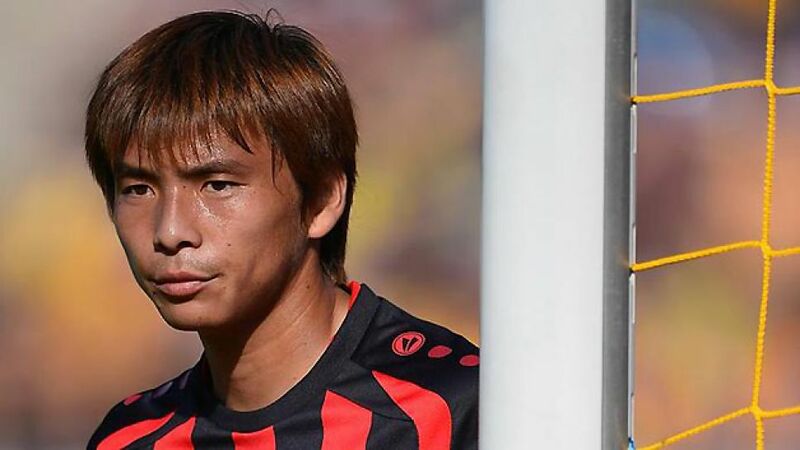 So, too, do the most recent performances of Takashi Inui, and it is to him as much as anyone that the hosts will be looking for the generation of forward momentum when the Yellow-Blacks come calling at the weekend. The 25-year-old attacking midfielder was a virtual ever-present last season, making 33 starting appearances in a campaign that saw Frankfurt, in their own post-promotion year, storm to a sixth-place finish and that Europa League qualifying berth. At Hertha, however, he had to make do with a place on the bench, having missed part of the pre-season preparations on FIFA Confederations Cup duty with Japan in Brazil. That stint in the dugout, like the team's performance on the day, turned out to be a one-off, though. Inui has started all three competitive games since and looked progressively sharper in each, carving out scoring opportunities for team-mates and getting into dangerous positions himself with the verve and sharpness of old. In truth, despite that excellent appearance record, Inui - like the rest of the team, to an extent - had struggled to recapture his blistering early form down much of the final season straight. Newly arrived over the summer from second-flight VfL Bochum, the dynamic, fleet-footed forward strategist hit the ground running in the higher division, scoring five goals before the winter break, dovetailing to great effect high up the pitch with the resurgent Alexander Meier and generally slotting into his new team and surroundings with the impressive adaptability common to so many Japanese players. As the campaign wore on, however, opponents invariably wised up to Eintracht's bold attacking play and started finding ways of containing it more effectively. Inui rarely found himself in the headlines after the New Year and had managed to add just one more goal to his tally by the end of the season. The team as a whole also had an extended run of patchy results before rallying sufficiently to claim the final Europa League spot. Overall however, it was still an impressive showing under the circumstances from team and player alike. Before the current season had even got underway in earnest, head coach Armin Veh was nonetheless explicitly warning that while his side are "every bit as ambitious this year," the ultra-competitive nature of Germany's top flight leaves precious little margin for error, or slackness, for the vast majority of clubs, with potentially little more than a handful of points separating European hopefuls from bottom-end strugglers. Be that as it may, Veh remains committed to exciting, offensive football in the grand Eintracht Frankfurt tradition - as exemplified by the last home meeting with Sunday's heavyweight Ruhr district visitors. Then, the teams finished up sharing the spoils in a real end-to-end humdinger. Takashi Inui, incidentally, turned in one of his best performances of the campaign, topped off with a goal in the 3-3 draw. Dortmund have been warned.